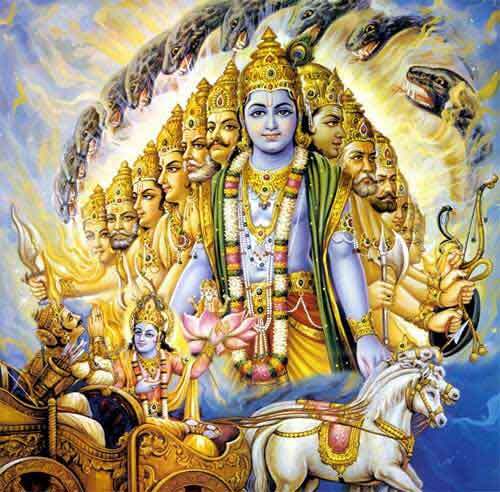 Dasha Avatar, the ten incarnations of Lord Vishnu, is very well known. It is believed that when Adharma spreads, Lord Vishnu incarnates to dispel the evil and ego-inflated beings and to uphold Dharma. Apart the popular ten incarnations of Lord Vishnu, there are numerous other incarnations of Vishnu that are found in the Puranas and other holy scriptures associated with Hinduism. Mohini – the beautiful female who stole the Amrita from the demons and gave it to Devas after the Samudra Manthan (Churning of Ocean). Hayagriva – the horse-headed incarnation that rescued the Vedas from the demons. Balrama – Lord Balarama, the elder brother of Sri Krishna, is counted as an incarnation of Lord Vishnu. In South India, he is one among the Dasha Avatar. Dhanvantari – the physician of the Gods is believed to be an incarnation of Lord Vishnu. Some of the famous and wise sages of ancient world like Dattatreya, Sanat Kumara (the four child sages) and Kapila are mentioned as incarnations of Lord Hari. There is also a widespread belief that Sage Vyasa is an incarnation of Vishnu. Hamsa, the swan, the vehicle of Goddess Saraswathi is also an incarnation of Lord Vishnu. Narada, one of the most popular sages in Hinduism, is another incarnation of the Hari. There are again numerous other minor incarnations of Lord Vishnu like Mandhata, Prithu etc. Lord Vishnu appears when there is a major dilemma for Devas or human beings or when there is a need to reestablish Dharma. There are some Hindu scriptures that list thirty-nine avatars of incarnations of Lord Vishnu. A list of thirty-nine avatars as found in the Ahirbudhnya Samhita. The most widely accepted and popular are the 10 Avatars of Vishnu. They include – Matsya, Kurma, Varaha, Narasimha, Vamana, Parashurama, Rama, Krishna, Balarama (or Buddha) and Kalki. Avatars of Bhagwan Vishnu are a full manifestation of the deity or a partial one. It is also possible for Vishnu to manifest himself as multiple avatars, simultaneously.